Is it Ethical to Shoot Tannerite Easter Bunnies Around Easter? Sure, Sounds Like Fun! 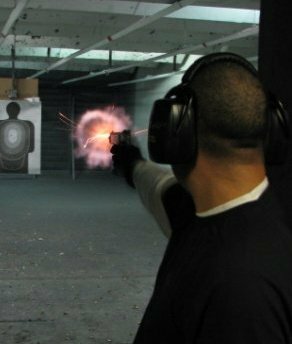 Nick and I are scheduled to go shooting this Sunday morning, he wants to put some rounds through his newly acquired USP .45 ACP and we have both been itching for any excuse to fire off some rounds at the range. That being said, I came across a Facebook post from Dragonman in which he was promoting his upcoming, annual Easter Bunny Shoot which is a fun shooting event that features tannerite stuffed bunnies, for some slightly deviant reason, it sounds like some good harmless fun, so I brought up the idea to Nick, to which he replied in the affirmative. Now, I just need to hope there are some stuffed bunnies available at the local Walmart or wherever, and the end result is that Nick and I would record it and post it as a video on our YouTube channel. But for some reason, they haven't had many views (am I the only one doing a search for "tannerite easter bunnies" on YouTube?). Is it perhaps that some people might feel some sense of guilt when it comes to shooting and blowing up a harmless, stuffed Easter Bunny? I wonder how many, if any, of the so-called "Social Justice Warriors" out there, would have a problem with this past time? Is the Easter Bunny considered off limits for this sort of debauchery? I don't know the answers to that question. but perhaps along the way of doing it, if it happens on Sunday, I'll be able to find out.